Embrace simplicity. A slim and lightweight bifold wallet holding up to 8 cards and banknotes. IN STOCK // Ando is handmade in small series in our studio in Stuttgart. Your order will be processed within 72 hours from the date of order. Standard shipping takes one to two working days within Germany or two to five working days to Austria. 9.00 EUR flat shipping fee to Austria. VAT-exempt according to §19 UStG. 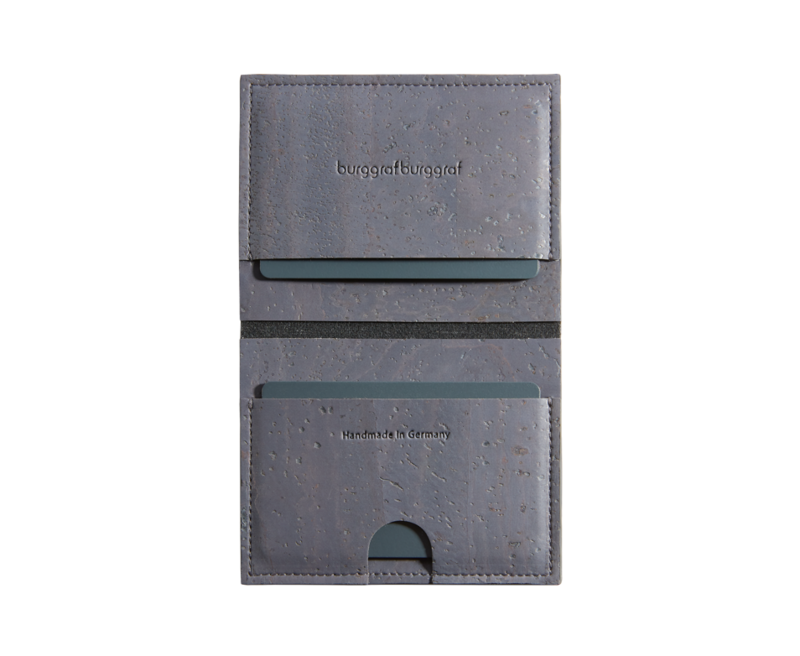 Our bifold wallet without visible outer seams features two opposite pockets for a stack of up to 4 cards each and folded banknotes. One of the compartments has a thumb cut out for even faster access to your most frequently used cards. Ando is also great for business cards. 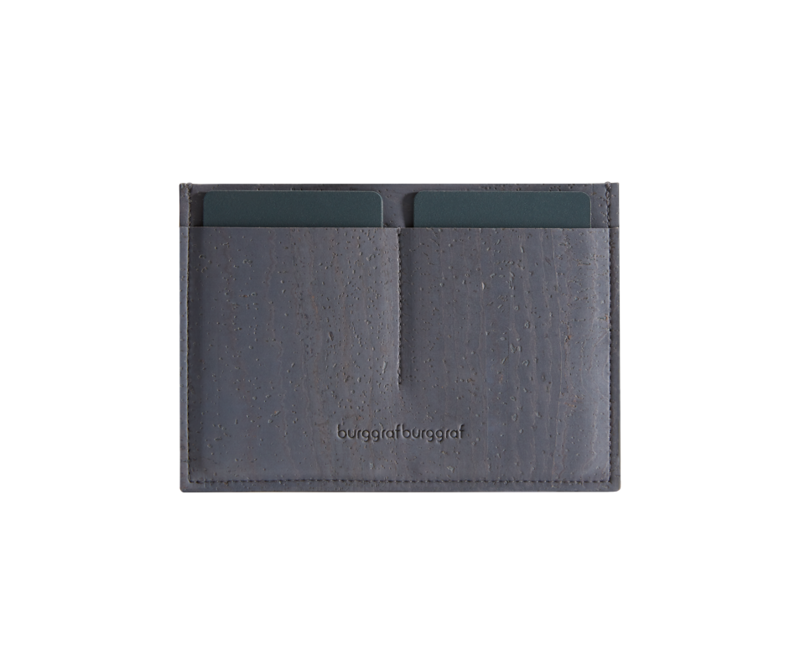 The slim wallet will fit neatly in your back pocket. Ando is made from premium cork leather from Portugal – a highly durable plant-based material with a warm touch and matte surface finish. Cork leather is vegan and naturally waterproof. 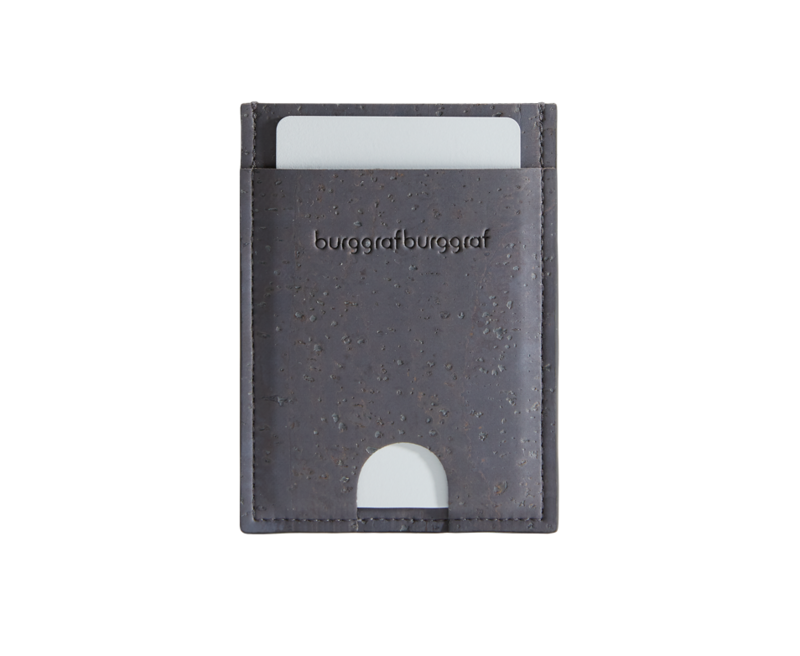 Naturally occurring variations on the cork skin make each wallet a one-of-a-kind. Ando is also available in navy and black. Corkleather is naturally water resistant and easy to care for. 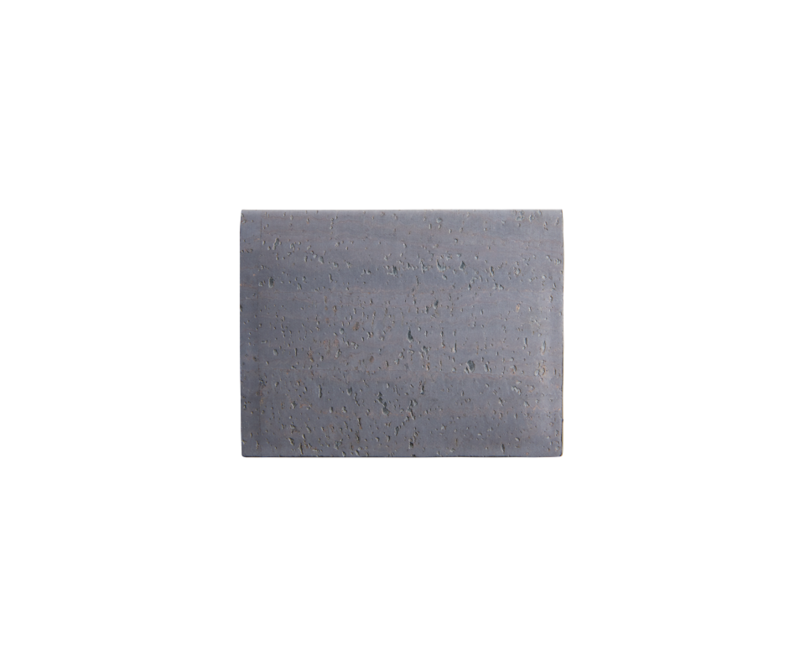 We recommend to remove dirt with a damp cloth and mild detergent. Please do not put your wallet in the washing machine.